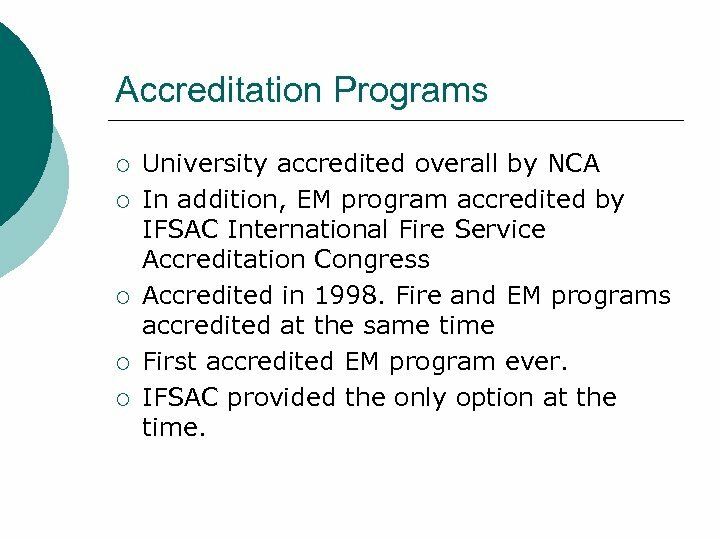 Accreditation Programs ¡ ¡ ¡ University accredited overall by NCA In addition, EM program accredited by IFSAC International Fire Service Accreditation Congress Accredited in 1998. 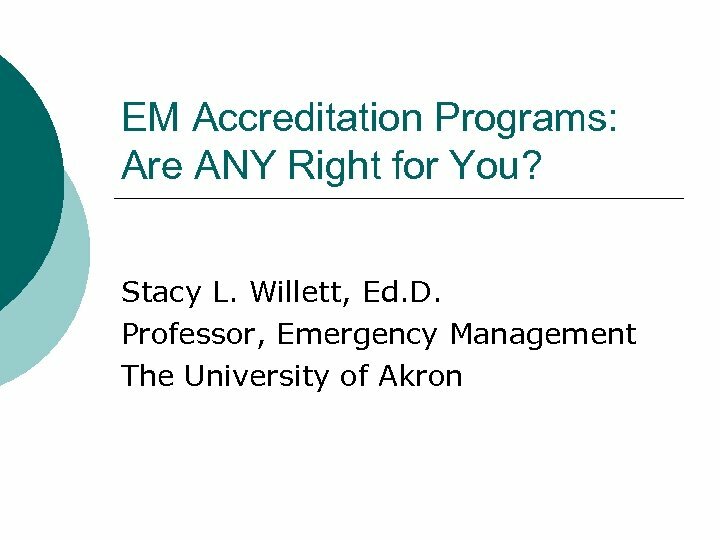 Fire and EM programs accredited at the same time First accredited EM program ever. 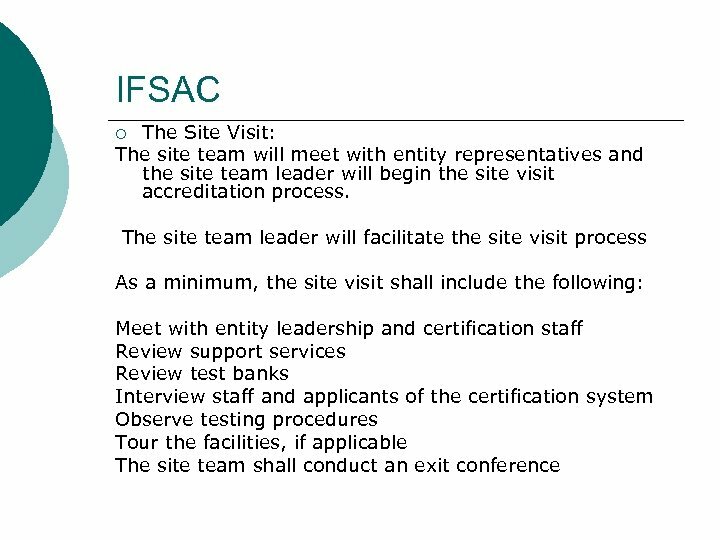 IFSAC provided the only option at the time. 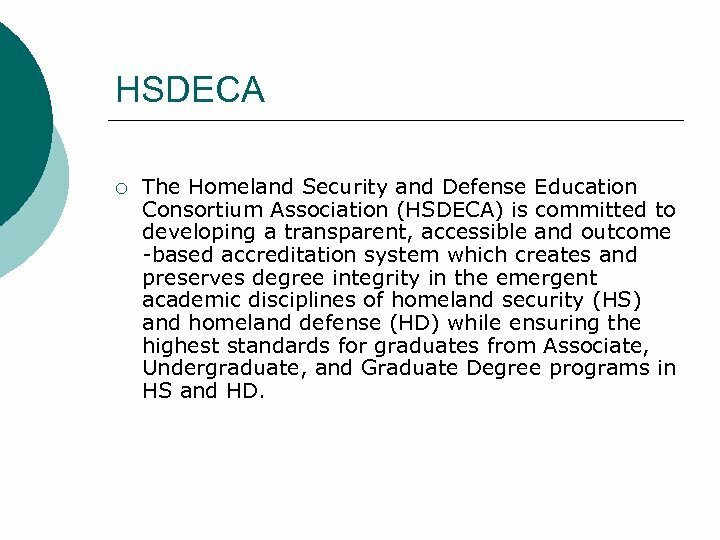 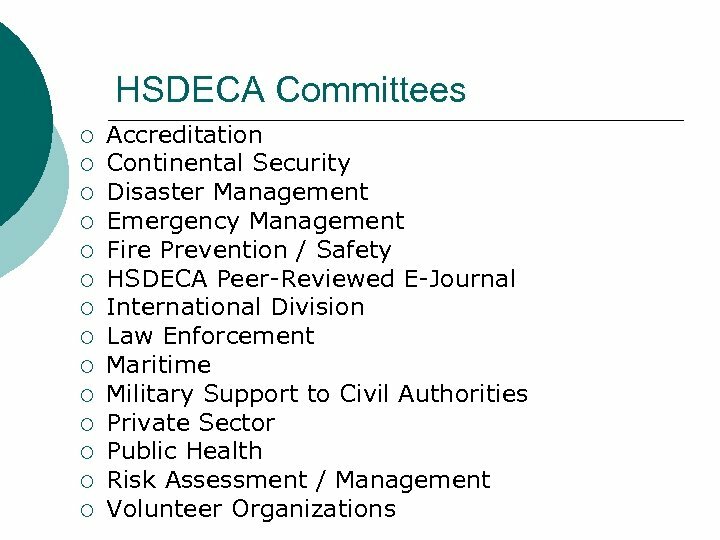 HSDECA ¡ The Homeland Security and Defense Education Consortium Association (HSDECA) is committed to developing a transparent, accessible and outcome -based accreditation system which creates and preserves degree integrity in the emergent academic disciplines of homeland security (HS) and homeland defense (HD) while ensuring the highest standards for graduates from Associate, Undergraduate, and Graduate Degree programs in HS and HD. 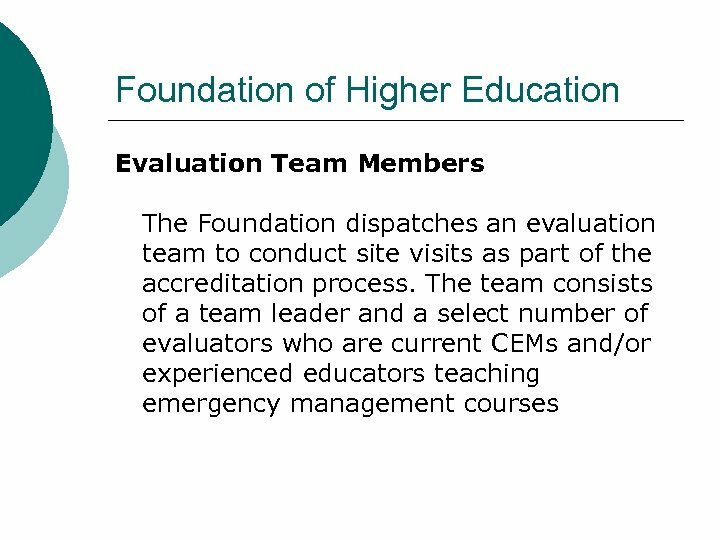 Accreditation Options ¡ ¡ Are still limited Involve teams of mostly practitioners or limited experience (part – time) instructors and not faculty l ¡ There is a large difference! 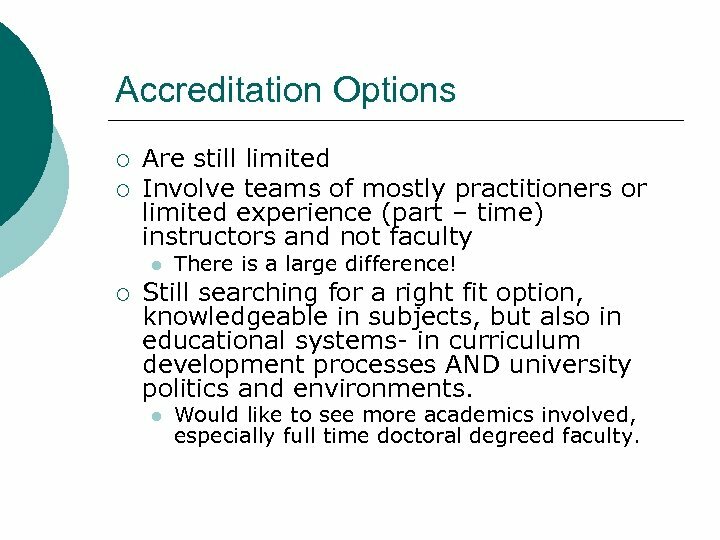 Still searching for a right fit option, knowledgeable in subjects, but also in educational systems- in curriculum development processes AND university politics and environments. 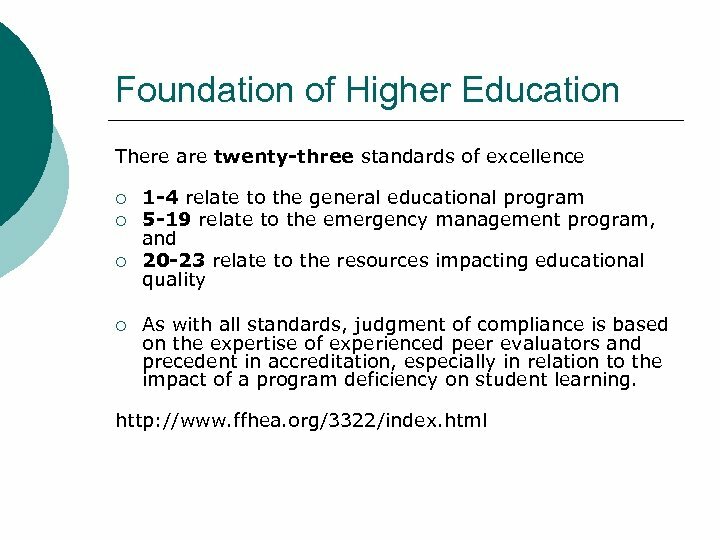 l Would like to see more academics involved, especially full time doctoral degreed faculty.